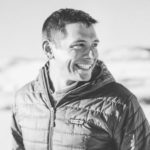 Matt grew up in New Jersey and moved to Crested Butte in 1998 after graduating from Georgetown University in Washington D.C. Married with two children, Matt is a local business owner and strong advocate for responsible recreation. He went for his first mountain bike ride at the Hartman’s Rocks in 1993 and has been hooked on the sport since. 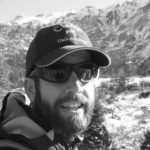 Matt views mountain biking as an integral part of the soul of the Crested Butte community and believes in a collaborative approach with other forest users to improve and expand our amazing singletrack network and build on CBMBA’s legacy. Steve moved to Colorado in 2002 sight unseen after accepting a sales position with the plastics company he was working for in Pennsylvania. The draw was the mountains and, in some ways, the mellower pace vs. the East Coast. After spending time living in the Front Range, and frequently making the trek to various mountain towns in summer and winter, it was time to make a move. Crested Butte offered what many did, skiing, biking, hiking, but ultimately it was the community feel that made the choice obvious. In 2011 Steve and his girlfriend Lauren, who also had the same feelings about Crested Butte, made the move together. Steve’s initial involvement with CBMBA a year later was doing what many in the community do, building and maintaining trail. Eventually his participation grew to attending meetings until this year being appointed to the board. Marco, a.k.a. Peaches, is a southern turned Buttian who has been sharing his love of bikes with his community for over 20 years. He is a Cuban-American from Asheville, NC, who recently retired from Coca Cola North America. An avid rider, he moved to CB in 2011 after coming here to ride every year since 1982. He started his bike advocacy career as an officer in the Southern Off-Road Bicycle Association in Georgia, and now shares his passion for bikes and community to help CBMBA fulfill its mission. Rob is happiest when he is out on the trail or sleeping consecutive nights in a tent, with his wife Holly by his side. He started riding and building trails as a kid on the Jersey Shore, where he road BMX bikes and built his own trails and forts in the woods. Later, he was formally introduced to mountain biking organizations when he joined the board of the Routt County Riders in Steamboat Springs in the 90s. As a member of CBMBA since 1996, Rob is proud of CBMBA’s efforts to preserve and conserve natural areas, and he enjoys working with CBMBA to protect public lands and to enable more people to connect with nature. 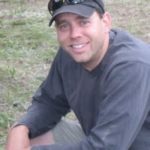 Seth Tucker arrived in Crested Butte in 2008 and has been a CBMBA board member since 2013 and became Treasurer in 2016. His favorite trail is the Whole Lupinada (Lupine 1 to Gunsight Connector) and his favorite ride is the 804 trail (403 to 401). He enjoys trail building and maintenance as much as mountain bike trail advocacy. I hope to see and meet you on one of the many trails CBMBA helps take care of! Ride fast, have fun, and be safe. I came to Crested Butte, from Wisconsin, the winter of 1986 looking for an adventure. In the spring of ’87 I went on my first mtb ride on the slick rock trails of Moab and was hooked! I have been obsessed with the bicycle my entire life so it was no surprise I loved the idea of a bike that could take me virtually anywhere I wanted to go. 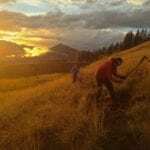 In 1991 I started working at Crested Butte Sports which exposed me to the idea that bike shops were pushing the “drug” of mountain biking so why shouldn’t they be encouraging folks to show up to trail work days? It was also the years that I began to get involved with Fat Tire Bike Week and CBMBA. In 2001 I was lucky enough to get a 3 month gig with the IMBA Trail Care Crew traveling the PNW, Canada and Alaska sharing the trail love I had nurtured in CB. In 2010 I took a 5 year break from CB where I continued to be involved with the bicycle working at both crankbrothers and the greatest bike brand in the universe, Pivot Cycles. I have also been lucky enough to be involved with NICA, the national high school cycling leagues in both Arizona and Utah, through Pivot. In 2015 my husband Travis and I returned to Crested Butte and opened Chopwood Mercantile and I rejoined the CBMBA board. In search of bigger mountains and a small, tight-knit community Hedda found herself at home in Crested Butte after growing up in the Green Mountains of Vermont. Her work with both the U.S. Geological Survey and the Mount Washington Observatory in Vermont and New Hampshire fueled her desire to explore, research and now protect her surrounding environment through her work at the Crested Butte Land Trust. Hedda graduated from the University of Vermont with a B.A. in Geography and German and recently earned a Masters in Environmental Management from Western State Colorado University. When she’s not out chasing her miniature Dachshund, Lidl, Hedda enjoys working with CBMBA and the Gunnison Valley community to steward the trails and environment that uphold our nature-driven quality of life. In 1975, Doug moved to Colorado Springs from Santa Monica California, but it wasn’t until 1976 that Doug discovered CB (via motorcycle, and spending all summer looking for old FS blaze marks on trees on an overgrown Double Top trail. Nobody here!) 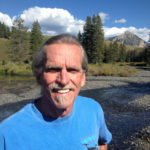 In 1982 he first witnessed idiots on bicycles going over Pearl Pass while on a motorcycle ride, so, a couple years later, he decided to quit racing motorcycles to stay alive and took up mountain biking instead. He quickly realized mountain bikes of the time were more dangerous than motorcycles, so he decided to build one that works, and Manitou Mountain Bikes was born. In ’86 he started riding bikes in CB (Upper and Lower Loop, Snodgrass was it), then started doing trail work with CBMBA in ’88 on Strand Trail. He built the FIRST suspension fork, which went o to win several World Championships, which helped usher Doug into the Mountain Bike Hall of Fame in 1994. Since then, he has continued building bikes, building trails, and working to support moutain bikers, the bike industry, and CBMBA. 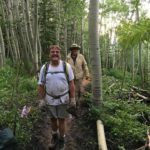 He has helped build many well-loved trails in the area, including Tony’s Trail, Whetstone Vista, Divine Trail, Point Lookout and Cement Creek Trails, and he helped with realigning and improving backcountry trails like 401, Deer Creek and Teocalli. He looks forward to continuing to enjoy the ever evolving family that is CBMBA and help keep Crested Butte trails the best in the world! I arrived in Colorado from my native state Maine on vacation in 1996 with just my mountain bike and a bag of clothes, and like many others, never returned. I enrolled at the University of Colorado Boulder and graduated with a degree from the College of Business. That same year I discovered Crested Butte while on a mountain bike road trip and was enamored with the community and lifestyle. In 2008, I purchased a home in Crested Butte South where I lived as a part-time resident for years, spending much of the summer and fall riding my bike and exploring the nearby backcountry. In 2017, I put down full-time roots in Crested Butte. (I don’t miss the drive back to Boulder!) After decades of riding the trails here, it was time to give back and get involved with CBMBA! 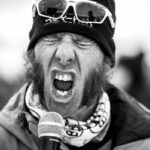 Derrick was formerly a behavioral neuroscientist and geneticist and is wasting his education being an entrepreneur…although he recently conducted a study and found that the three most common phrases uttered in Crested Butte are “right on,” “it’s all good,” and “no worries”. His favorite things on earth are his wife and two kids, proper mountain bike loops, fly-fishing, a good putt, and irony. He looks forward to working with CBMBA and its partners to achieve the goals set out in CBMBA’s Master Trail Plan. Being from Alabama originally and damn proud of it, Chandler has been lucky to be in Crested Butte for 20 years now. Not born a biker, biking has become more than a passion for him. Not an animal on the bike, but not afraid to get out there and see some miles on the trail, Chandler is awfully happy way out in the woods on a bike exploring Gunnison Country. Excited to advocate for the trails every bit as hard as he rides if not more, Chandler loves the community and work that is CBMBA. Hilary grew up in the mountains of Colorado. After a stint in North Carolina for college, she found the mountains calling again and came to Crested Butte looking for great skiing and close-knit community. Not believing her luck in having found a place was all she could ask for and more in both respects, she decided to extend her “ski winter” for the summer. The wildflowers, hiking, and biking hooked her for good that next summer, and she has made her home in Crested Butte ever since. Hilary is a passionate advocate for our public lands and the incredible mountain ecosystems they host. 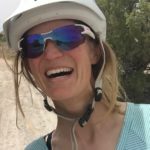 After having worked with CBMBA for several years in her previous job at the Gunnison Public Lands Initiative, she was thrilled to join the board of an organization that has built such a strong community of people around responsible recreation, volunteerism, and a great big love for our landscape. 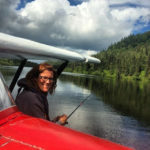 She looks forward to helping CBMBA steward and protect the lands and trails that make this place so special. Dave Ochs was a CBMBA board member for 13 years before being hired as the first ever CBMBA E.D in 2016. 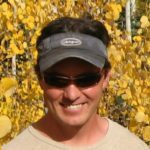 Dave moved to Crested Butte in 2001 and immediately developed “a problem” with the bicycle, specifically mountain biking in Crested Butte. Immediately enthralled by the bike culture, Dave took to events and advocacy as a means to give back. He has a beautiful wife (Missy) and two darling children (Ozzy and Cadence). 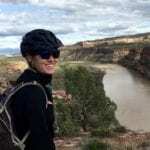 Laura came to Crested Butte in 2009 as a runner and a canoer, but has since discovered the joy and adventure of exploring on two-wheels. Before joining the CBMBA staff in 2018, she worked in a wide variety of jobs in the Valley, from landscaping to teaching English, managing the Nordic Center to running Mountain Adventures. 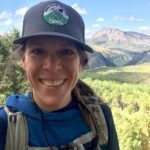 Laura feels lucky to live in Crested Butte, with its amazing community and beauty, and loves being part of CBMBA because of the work it does to protect, maintain, and advocate for the trails and wildness that are so critical to our quality of life.